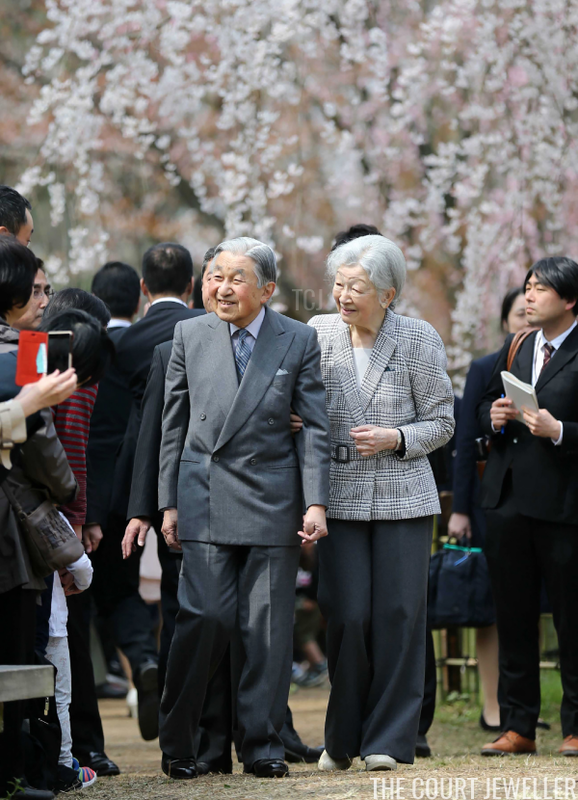 On March 26, the Emperor and Empress traveled to Kashihara to visit the mausoleum of Emperor Jimmu, the legendary first Emperor of Japan. Traditionally, Emperor Jimmu's reign took place from 660 until 585 BCE. In Japanese mythology, Jimmu is a descendant of the sun goddess and the storm god. 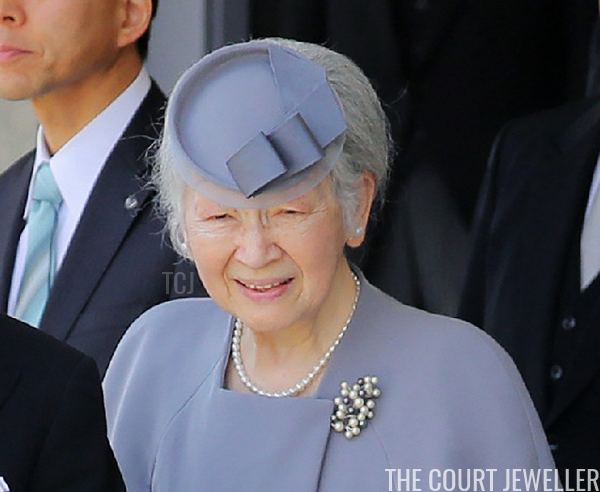 For the visit to the mausoleum, Michiko wore a lovely strand of pearls, as well as a gorgeous brooch festooned with round multicolored pearls. 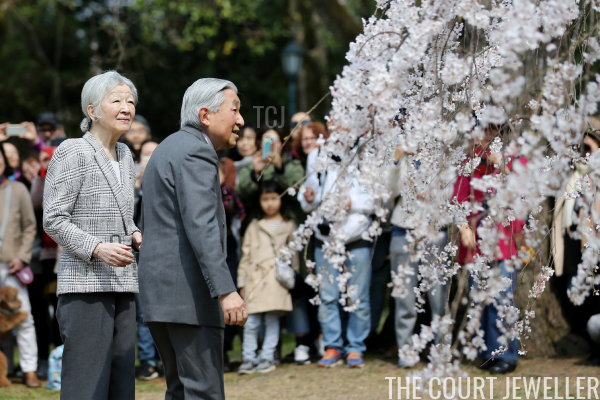 The following day, Akihito and Michiko visited Kyoto Gyoen National Garden to see the cherry blossoms. 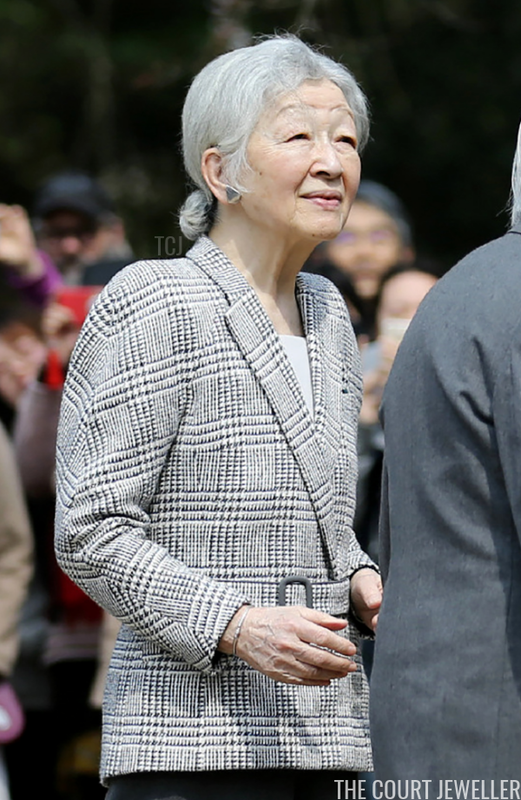 Michiko wore modern silver-toned earrings for the visit. She left off a brooch -- probably sensible, as any piece would have competed with the classic print of her jacket. Michiko also sported a slender silver-toned bracelet on her right wrist for the occasion. 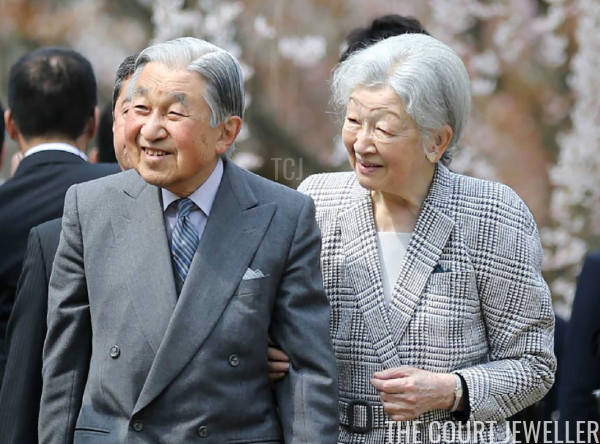 We're now less than a month away from Akihito's planned abdication, which is scheduled to take place on April 30. 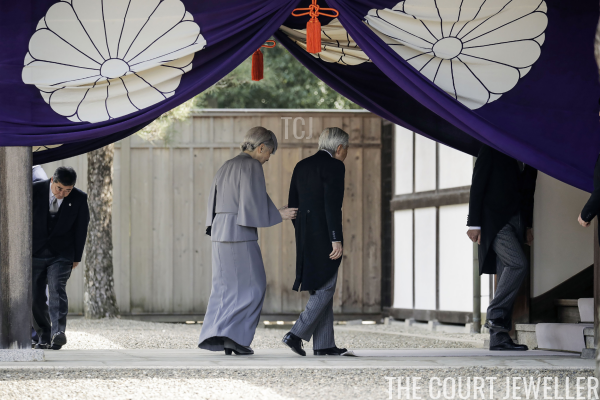 Afterward, the Imperial Household Agency has already announced that he will use the title of Jōkō, which officially translates as "Emperor Emeritus." (Michiko will be the Empress Emerita.) 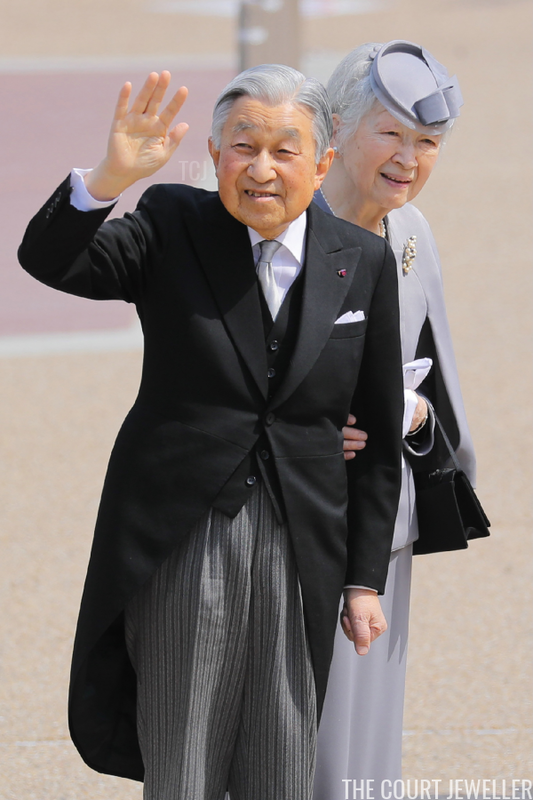 The complicated mechanics of abdication have already begun moving in Japan. Earlier this week, the name of the new Emperor Naruhito's era was officially announced: "Reiwa," which means "beautiful harmony."